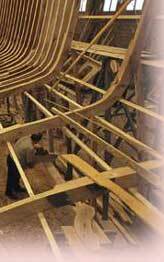 Your boat build and design project need some help? See more our Phuket boat build and design to know what you want. Meet your success in boat business and get high benefits with a lot of money in the near future, should check for the quality boat build and design in Phuket before your decision. Cholamark Boat Co., Ltd. was established in 1989. The company has about 30 employees. In South East Asia we are the only place where is. Phuket Inter Wood Work specializes in carpentry work, teak deck, varnishing work and painting.